Architect’s rendering of the new Channelview Fire Station #3, under construction on Dell Dale. The station will be fully operational by October 2017. EMS offices are on the left, truck bays and firemen’s quarters at right. The building will also house the restored first Channelview FD fire truck, a 1952 Mack pumper. CHANNELVIEW – The Emergency Service District #50, and the Channelview Fire Department, held a groundbreaking ceremony last Thursday, Nov. 3 at the site of the new Station #3 at 1210 Dell Dale. Present at the ceremony were the ESD commissioiners, the building committee, and contractors, architects, and interested members of the public. This is the second new station that Channelview FD has built in the last two years. Station #1 was completed last year on Market Street. In his welcoming remarks, ESD Administrator Jimmy Sumbera noted the rapid growth of the area, and the increase in service calls. The new station will replace the current fire station a few blocks away on Dell Dale. It will house a District Chief, a medic unit, and an engine company, with room to expand to double this capability. Rotarian and Emcee Bill Palko, author Carson George with the Memorial Wall, North Channel Chamber president Margie Buentello. The North Channel Area Chamber of Commerce hosted its annual Salute event for military, veterans, and first responders last Thursday. They were honored for their service with a special program and free lunch. Also participating were local service club, Rotary, and the Pilot Club, who conducted their official meetings.There was also a health fair with free health screenings, flu shots at low cost, giveaways and prizes. All local school districts: Channelview, Sheldon and Galena Park ISD as well as local businesses, hospitals and health care providers had a booth with useful information and giveaways. Nearly 40 members of the Sheldon ISD family attended last Thursday’s North Channel Area Chamber “Salutes” Luncheon and Exposition in Channelview. 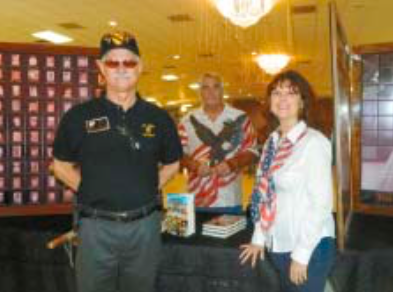 This event honored both active and retired military personnel. The district’s JROTC students presented the colors during the program, and more than 20 veterans who now work for Sheldon ISD also took part in the festivities. East Houston’s favorite son, Justice of the Peace Mike Parrott, has announced his retirement as of January 2017. After this week’s election, Joe Stephens will be the new J.P in District 3, Position 1. 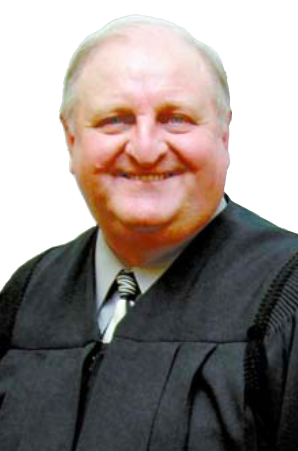 There will be a retirement party, to which the public is invited, at the Fonteno Courthouse annex on Wallisville Road, Thursday Nov. 17 from 1 p.m. to 4 p.m.
Parrott has served for 24 years as Justice of the Peace, and a total of 43 years with Harris County. He is also remembered as a standout football player for Galena Park High School, and the University of Houston.